These cars in London sure are small. 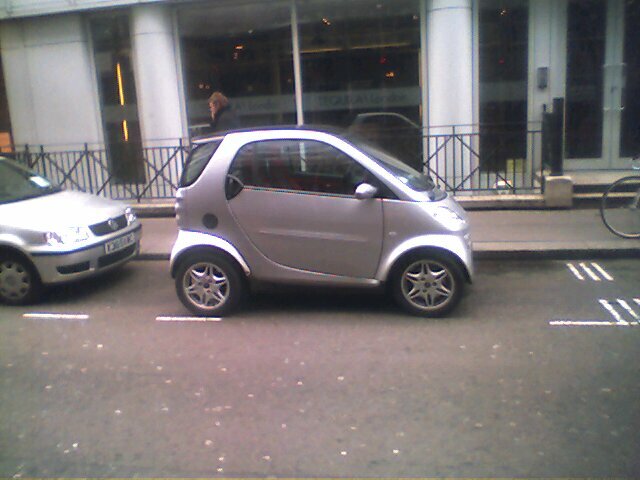 This one - called a Smart Car - is pretty odd looking. It only seats two and it doesn't look like they left any room for an engine. Maybe it's powered a la Flinstone style?